The Best of Teacher Entrepreneurs III: 5 Ways to Build your Students UP! 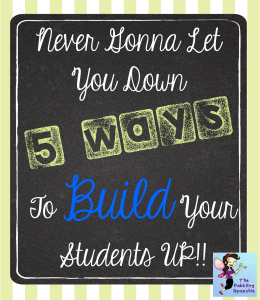 My students always seem to do better with my lessons when I am working on building them "UP". It is easy to get frustrated and discouraged with our students, so I have some tips and tricks that I use to keep my students feeling positive and remembering that I have their back! Read this post on my blog!